These lessons aim to demonstrate polyrhythmic elements found throughout West African and Afro-Caribbean music. 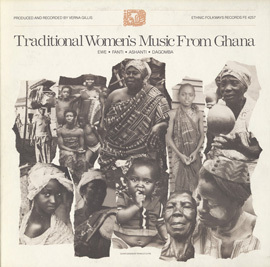 Students will listen to music from Ghana, Nigeria, Cuba, and Puerto Rico to learn how this polyrhythmic tradition followed Africans to the Caribbean as a result of the transatlantic slave trade. Students will learn the rumba clave pattern, cascara pattern, and a 6/8 bell pattern. All rhythms will be accompanied by a two-step dance pattern. Any type of sound system will work for these lessons. These lessons work best if students are able to stand. Moving desks to the back of a classroom as a way to have students stand together would be optimal but not required. A projector will be needed for showing maps if maps are available in the classroom. Maps and other images are embedded in the lesson plans below. Instructor asks students to describe the instruments they hear. After one minute, instructor asks students to focus on the instrument heard at the very beginning of the piece. The instrument is called the clave. Instructor invites students to attempt play the clave rhythm along with the selection, or simply clap on the first beat of each measure in an attempt to identify where the first beat of each measure occurs. Instructor uses hand claps to teach the rumba clave pattern. Students are instructed to listen to the pattern a few times. Instructor claps the rumba clave two-bar pattern one time and asks the students to repeat the pattern back. This is repeated several times until the students gain a basic level of comfort with the rhythm. 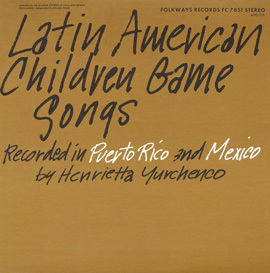 Instructor plays “Las leyendas de Grecia” again and asks students to clap along with the music using the rumba clave pattern. Instructor demonstrates how to do an easy side step dance pattern at about eighty-five to ninety beats per minute. Each step occurs on the beat of 1 - 2 - 3 - 4. Instructor directs the class to stop when students appear comfortable with the dance step. Instructor demonstrates dancing the two-step pattern while clapping the clave rhythm. Instructor guides the students in doing the same thing. Show the class on a map where Cuba is located. The group performing the selection is Grupo Afrocube Matanzas. 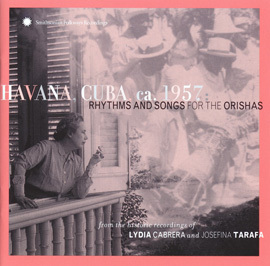 The liner notes explain that the group is from a region of Cuba called Matanzas Province. Show students where Matanzas Province is on a map. 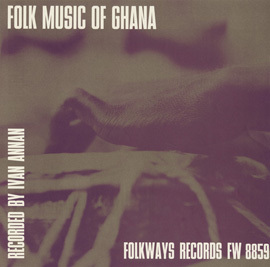 Use “Gome” from Folk Music of Ghana to demonstrate how a similar pattern exists in West African music. 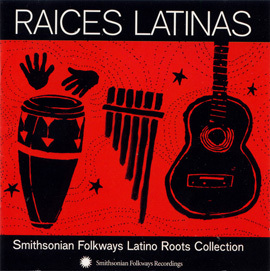 Explain that the pattern played in “Gome” would be called son clave if played in Afro-Cuban music. Demonstrate there is only one difference between this pattern and rumba clave. The difference is that the last note of the first measure of a 3-2 clave pattern is right on the fourth beat rather than on the and (eighth note) of the fourth beat. Explain that a clave type pattern is what holds the music together in these music styles. Other parts are built around clave type patterns. These patterns form the foundation of the music. This will assist students in understanding the role of a clave pattern in West African and Afro-Cuban music. Attentive Listening: Instructor plays the following selection for the class. 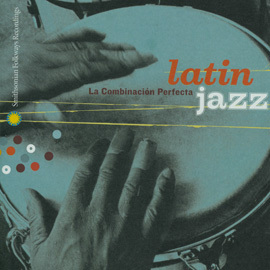 “Mambo Beat” by Tito Puente from Latin Jazz: La Combinación Perfecta. After one minute, the instructor asks students to focus on one of the rhythm instruments heard at the very beginning of the piece. This rhythm is played on the shell of the timbale and blends with the rhythm heard on a cowbell. The rhythm is called the cascara. Instructor shows an image of a pair of timbale, a cowbell, and the sticks used by the timbale player. Instructor invites students to attempt play the cascara rhythm along with “Mambo Beat,” or simply clap on the first beat of each measure in an attempt to identify where the first beat of each measure occurs. Instructor claps the cascara two-bar pattern one time and asks the students to repeat the pattern back. This is repeated several times until the students gain a basic level of comfort with the rhythm. Then, the instructor stops the class. Instructor demonstrates singing the pattern and instructs the class to do the same. Instructor also points out where the clave rhythm falls within the cascara pattern (below we see the cascara pattern on top and the rumba clave pattern on bottom). Use the same dance as shown in Lesson 1. Refer to the dance instructions in Lesson 1. Instructor demonstrates dancing the two-step pattern while clapping the cascara rhythm using the same method of instruction found in Lesson 1. Extension (Optional): The extension for this segment would work best if performed after the assessment. Students will switch between playing the cascara pattern and the clave pattern. One half of the class will play the clave pattern, while the other half plays the cascara pattern. The two sides of the class will then switch roles. All of this will be done while maintaining the two-step dance pattern. 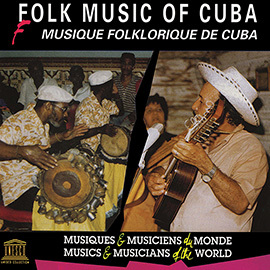 “Yambú (Rumba)” by Santiago de Cuba musicians from Music of Cuba. The instructor asks the students to notice the rhythm that begins the piece. Instructor invites students to attempt play the bell pattern rhythm along with “Yambú (Rumba)” or simply clap on the first beat of each measure in an attempt to identify where the first beat of each measure occurs. Instructor claps the 6/8 two bar bell pattern one time and asks the students to repeat the pattern back. This is repeated several times until the students gain a basic level of comfort with the rhythm. Then, the instructor stops the class. Instructor asks students to repeat the pattern. Again, the same dance pattern will be used as seen in Lesson 1. Refer to the dance instructions in Lesson 1. Instructor demonstrates dancing the two-step pattern while clapping bell pattern rhythm using the same method of instruction found in Lesson 1. Extension (Optional): The extension for this segment would work best if performed after the assessment. Half of the class will clap the bell pattern while the other half of the class claps the clave pattern, then reverse roles. Show the class a map of West Africa. Point out where Nigeria is. Then show the class a map of the world to explain where West Africa is in relation to the United States and the Caribbean. 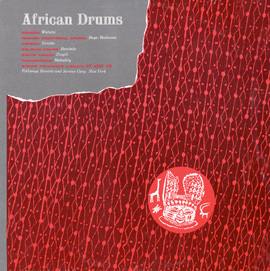 Instructor plays “Salute to a Chief” from African and Afro-American Drums. 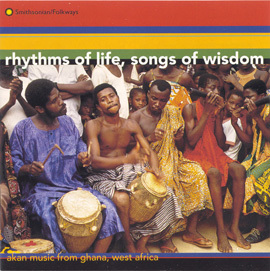 Instructor asks the class to listen for similarities to the rhythms heard in “Yambú (Rumba)” from Lesson 3. Instructor explains that certain rhythms survived as slaves were brought to the Caribbean through the transatlantic slave trade. Instructor invites students to attempt play the cascara rhythm along with the “Salute to a Chief” or simply clap on the first beat of each measure. Instructor claps the 6/8 two-bar pattern one time and asks the students to repeat the pattern back. This is repeated several times until the students gain a basic level of comfort with the rhythm. Then, the instructor stops the class. 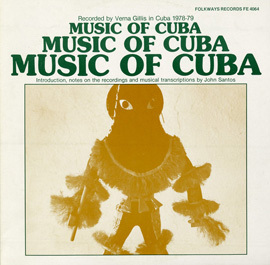 Instructor reminds the class that the bell pattern adds just two notes to the clave rhythm practiced in Lesson 1 as stated in the liner notes from Music of Cuba. Again, refer to the dance instructions used in Lesson 1. Instructor demonstrates dancing the two-step pattern while clapping the bell pattern rhythm using the same method of instruction found in Lesson 1. 1 Special thanks to Dr. Marisol Berríos-Miranda and Dr. Shannon Dudley of the University of Washington for demonstrating some of these lessons and assisting me with the overall concept of this unit.